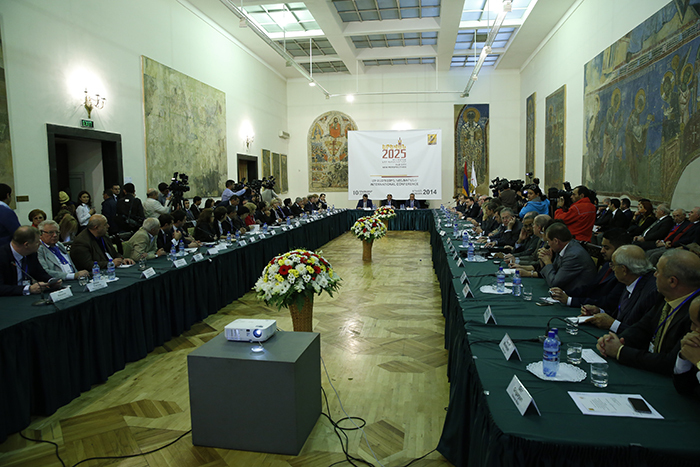 yerevan.am | International conference "Yerevan 2025"
On October 10, 2014, within the frames of "Erebuni-Yerevan" celebration the international conference called "Yerevan-2025"-an old city, new perspectives. Reports on the development of the capital were presented and a number of ways of improvement of some spheres of urban economy were discussed during the conference. The participants of the conference adopted a formula the main points of which are: presenting the results of the activity of the conference to public, organization of public hearings and discussions of the projects, making the experts and specialists and the interested population of the capital take active part in working out the projects aimed at the future of Yerevan. 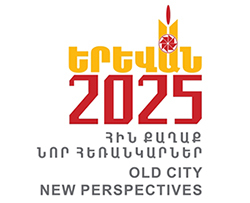 During the conference the Municipality of Yerevan is ready to discuss the suggestions made by the parties interested in the future of Yerevan-state and public organizations, representatives of international organizations, business circles, experts in the spheres to be discussed, interested specialized societies.